THREE NEW KNIGHTS ENTERED INTO NH PRIORY! 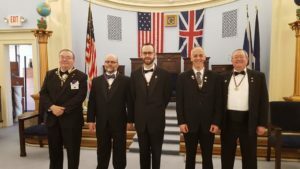 Eminent Prior Glen Gordon welcomes three new Brothers, Troy A. Patoine, Patrick J. O’Sullivan and Andy Lord with Dennis A. Sheridan, Deputy Grand Master General for Convent General KYCH. 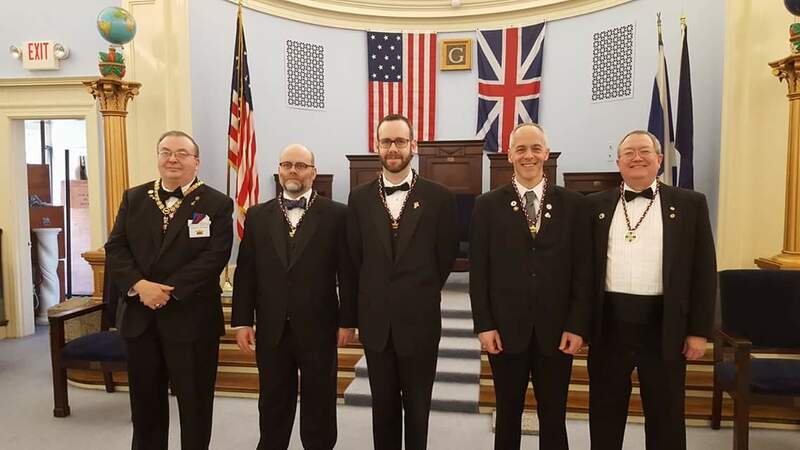 The Grand Royal Arch Chapter, The Grand Council Cryptic Masons and The Grand Commandery Knights Templar of NH will hold their Annual meetings on Saturday May 12, 2018 at the Masonic Temple in Concord, NH. The Grand Banquet will be at the Holiday Inn in Concord on Friday May 11th at 7:00 p.m.